Copper State Specialties is a distributor and custom filler of Pulsarlube® Single Point Lubricators. We will stock and fill any type of lubricant you want in these lubricators. Copper State Specialties sells both disposable Single Point Lubricators and base units with refills. CSS will guarantee every unit which we ship because we both fill and test all of our units. 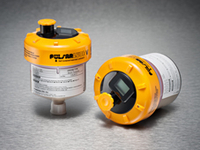 The Pulsarlube® V automatic grease lubricator operates based on the proven technology of electrochemical reaction which generates inert Nitrogen (N2) gas through the systematic use of an electrolyte and electrical energy. It is designed to help users easily set the dispensing rate by use of the microprocessor and LCD. The Pulsarlube® V controls the electrolytic reaction for the best dispensing rate and dispenses a precise certain amount of grease at the set rate, suitable for most industrial applications. 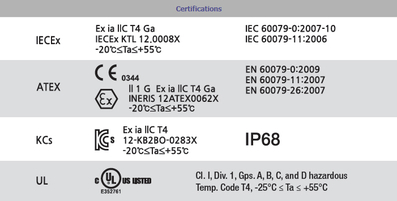 This product is an intrinsically safe product, certified as Ex ia llC T4 for use in hazardous areas.